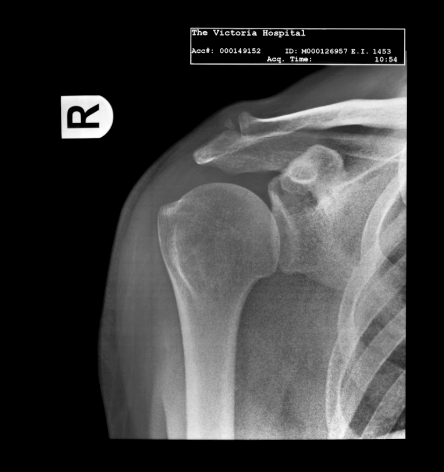 I am grateful to not have suffered from having a frozen shoulder but I know several people who have. Before today all I knew was that it was painful, restrictive and lasted a long time. The shoulder is a ball and socket joint made of up 3 bones: humerus, scapula and clavicle. The head of the humerus (upper arm bone) fits into the socket of your scapula (shoulder blade). A capsule of connective tissue encases these bones as well as the ligaments and tendons that make up the shoulder joint. Frozen shoulder, also know as adhesive capsulitis, occurs when this capsule thickens and tightens restricting movement of the joint. Freezing stage: Gradually pain increases and the range of motion decreases. This stage can last 6 weeks to 9 months. Frozen stage: The pain may begin to diminish but the range of motion is limited so that using it is difficult or impossible. This stage can last 4 to 6 months. Thawing stage: The range of motion begins to improve. Return to normal activity can take between 6 months to 2 years. The cause of frozen shoulder is not fully understood. Immobilization or reduced mobility of the shoulder joint due to another medical condition such as a broken arm is said to increase the risk of developing frozen shoulder. Apparently having diabetes or cardiovascular diseases also increases the risk. The common sense approach is to avoid this problem in the first place by keeping our shoulders moving. The following are exercises that can be done to maintain or improvement shoulder mobility. If you have an injury that is restricting your shoulder movement ask your health care professional for exercises that you can safely do instead of these. As with any exercise, start slowly and stay within a comfortable range for your body. Shoulder Rotations: Standing tall with your arms relaxed by your side, pull your shoulders forward then slowing move them up toward your ears and then back so that you’re squeezing your shoulder blades together, then continue down and back to the starting position. Your arms are at your side for the entire movement. Do 2 slow revolutions forward and backward. Arm Rotations: Standing tall, reach your arms straight out in front of you and spread your fingers as wide as you can on both hands. This position feels like a wonderful stretch. From here lift your arms slowly, maintaining this position, over your head and then back, down, and around to the starting position. Do 2 slow revolutions forward and backward. Our joints stiffen up if we don’t use them. Once again the “use or lose it” theory applies. You’ve got to keep yourself moving to keep yourself moving.